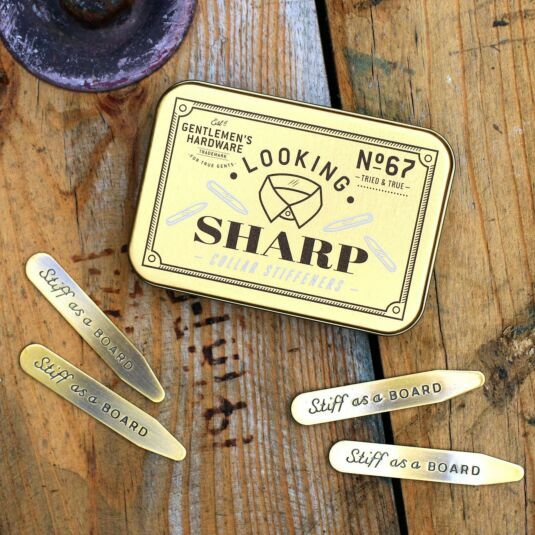 Take dapper to the next level with this set of brass collar stiffeners. 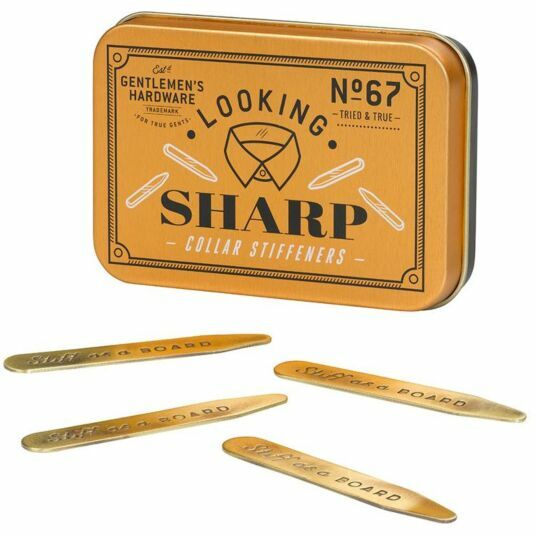 Designed to create the sharpest collars around, this Gentlemen’s Hardware tin contains two pairs of brass collar stiffeners. 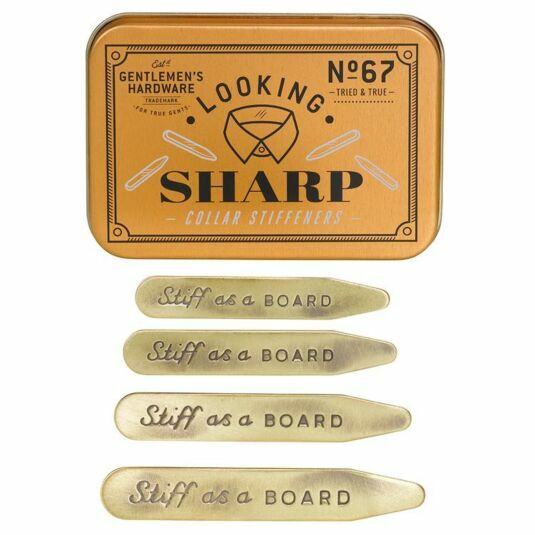 Each item bears embossed text which reads Stiff as a board. Each item measures 6cm in length. Whether you need a freshly shaken cocktail or a freshly changed bicycle tyre, you’re the gentleman for the job. This stylish and luxurious range from Gentlemen’s Hardware ensures you always have the tool, whatever the task – whilst looking dapper of course.